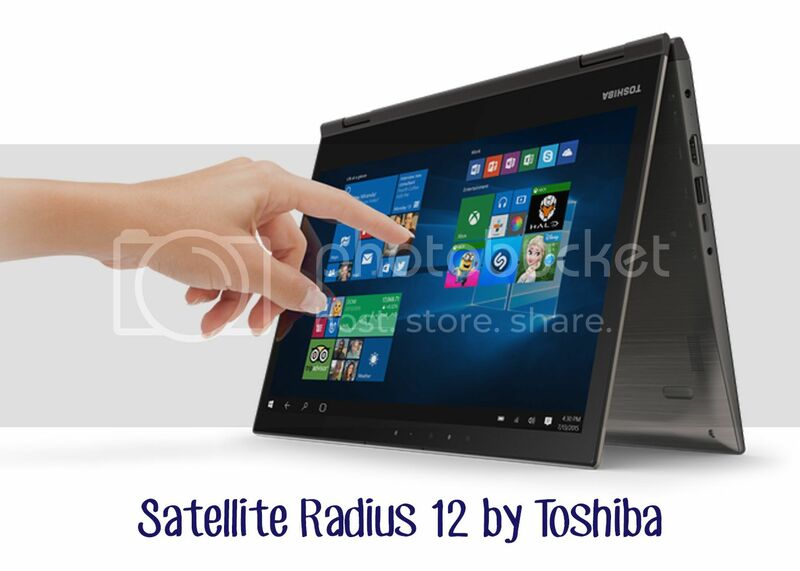 Best Buy is the destination for exciting new mobile PC devices, including the new Satellite Radius 12 by Toshiba. With the launch of Windows 10, now is the time to gear up and get a laptop built with the expert technologies, flexible 2-in-1 design and fast mobile performance. Start thinking about who on your holiday gift list could use an upgrade. Perhaps it is you! The Satellite Radius 12 is the world’s first 12.5-inch convertible laptop with a 4K Ultra HD display. Designed with color accuracy in mind, the Technicolor-certified wide gamut RGB display supports 100% Adobe® RGB color space reproduction, making it an ideal choice for mobile content creators and action cam enthusiasts. On this screen, what’s shot with the camera can be viewed with the same color fidelity, making editing a breeze. Featuring a sleek, highly-mobile compact design, Gorilla Glass damage resistant screen, and an LED backlit keyboard, the Satellite Radius 12 is designed for travel. My favorite feature just might be the 360-degree precision hinge. 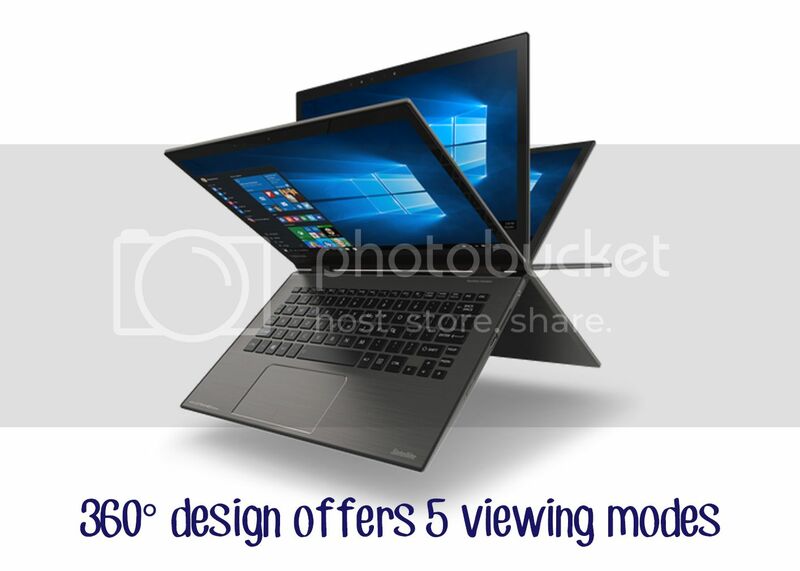 This enables greater flexibility as the screen rotates into five unique viewing modes – giving the right view for every occasion. Choose from laptop, audience, tabletop, presentation and tablet modes, so you can easily stay productive on your own or collaborate with colleagues. Designed for Windows 10, the Satellite Radius 12 is one of the first small-screen PC’s to enable facial authentication with Windows Hello. This enables a more personal and convenient way to log in to the laptop. Facial recognition greets you by name and lights up in your presence. It’s also among the first Windows laptops to run on the power and performance of Intel’s new 6th generation Core processors, delivering maximum mobile performance for mobile content creators and multi-taskers. Check one out at Best Buy! 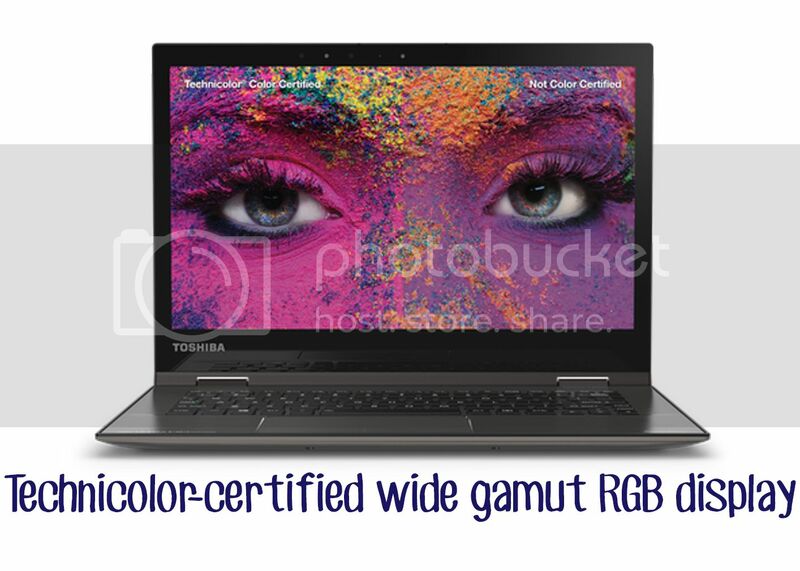 Buy It :: You can purchase the Toshiba Satellite Radius 12 Laptop on bestbuy.com or a Best Buy store.